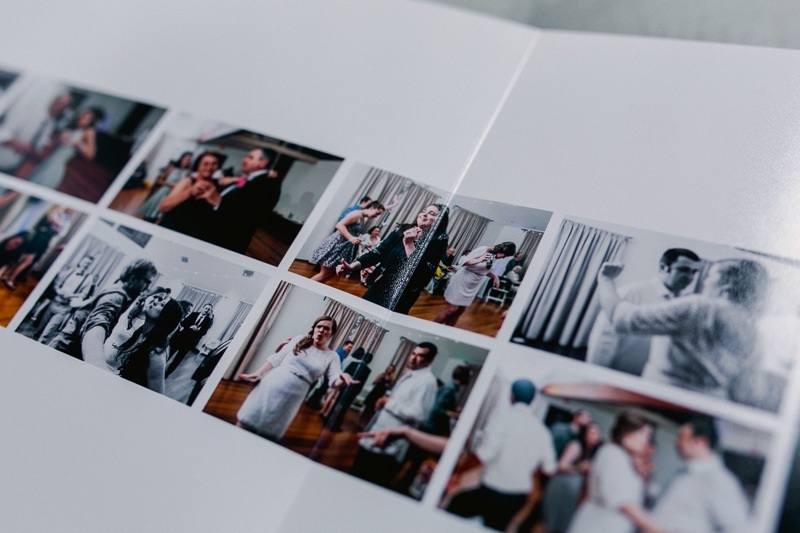 With the ease of sharing wedding photos online, it’s easier to forget how meaningful it is to have a physical way of displaying your images. 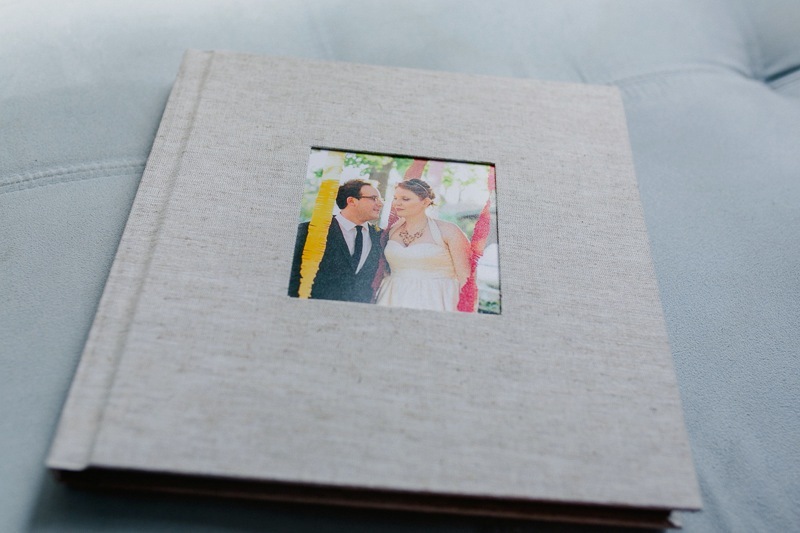 I believe that these archival photo albums will be something you treasure not just after your wedding, but look at on every anniversary, and become family heirlooms. The Flushmount Album is the top of the line album option I offer. 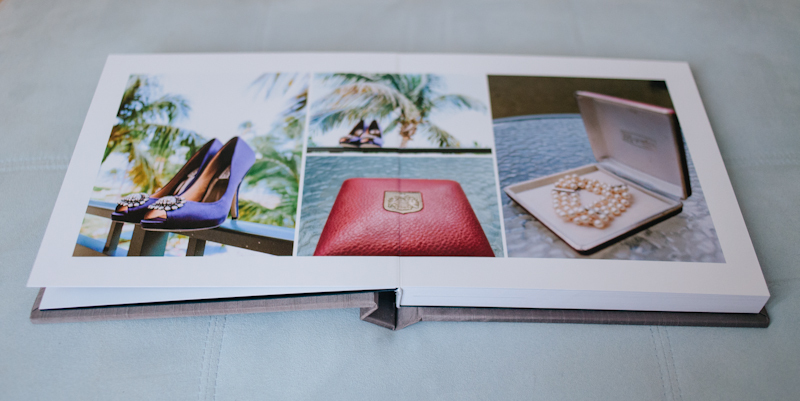 These books are handcrafted with thicker pages and archival printing that will last a lifetime. 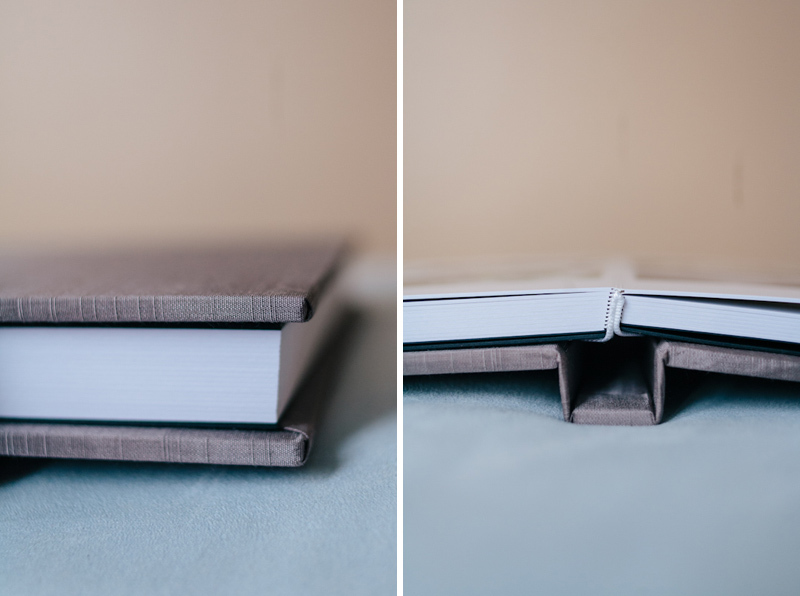 Seamless pages lay perfectly flat, and covers are beautifully bound with your choice of leather, silk, or linen. 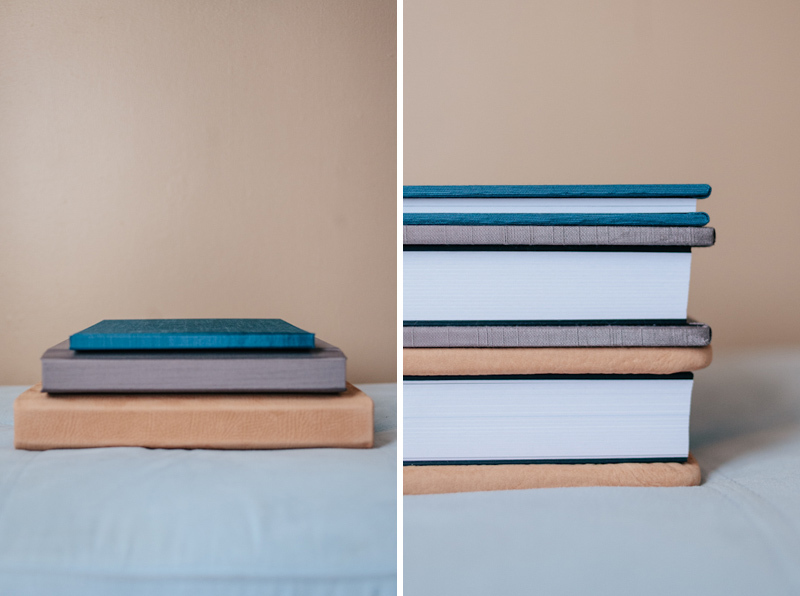 The Photo Book Album has thinner pages printed on archival photographic paper – you can see a comparison of the page thickness between the Flushmount and the Photo Book in the first image below. 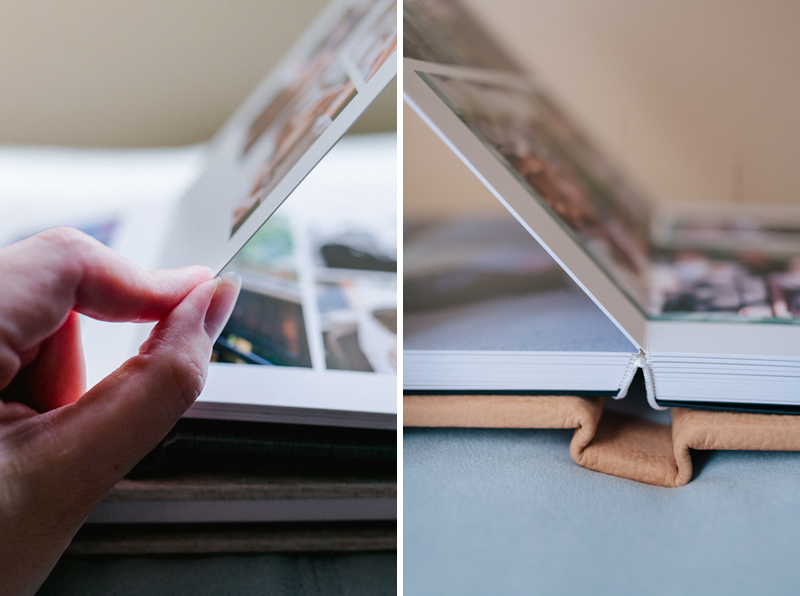 These pages are also seamless and lay flat when open, and have several cover options. 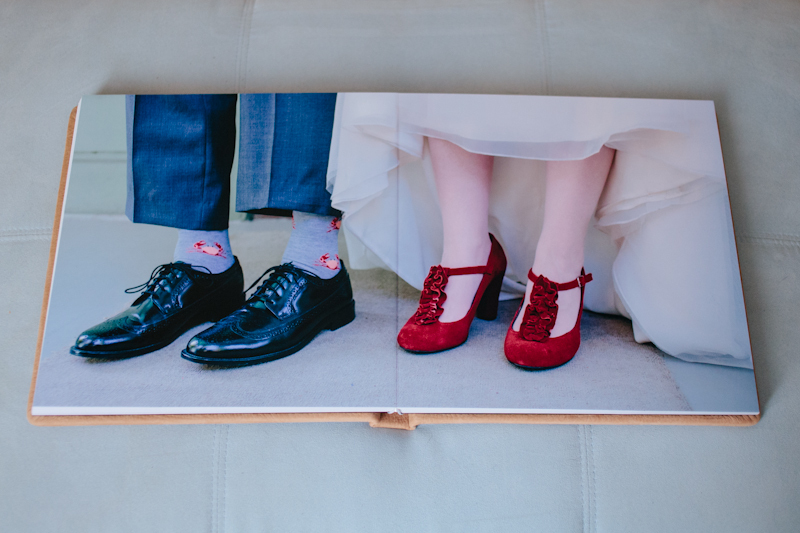 The Photo Book is an excellent choice for couples on a budget but still looking for a high quality album to tell the story of their wedding day, and an 8×8 inch size is used for duplicate parent albums and elopement albums. 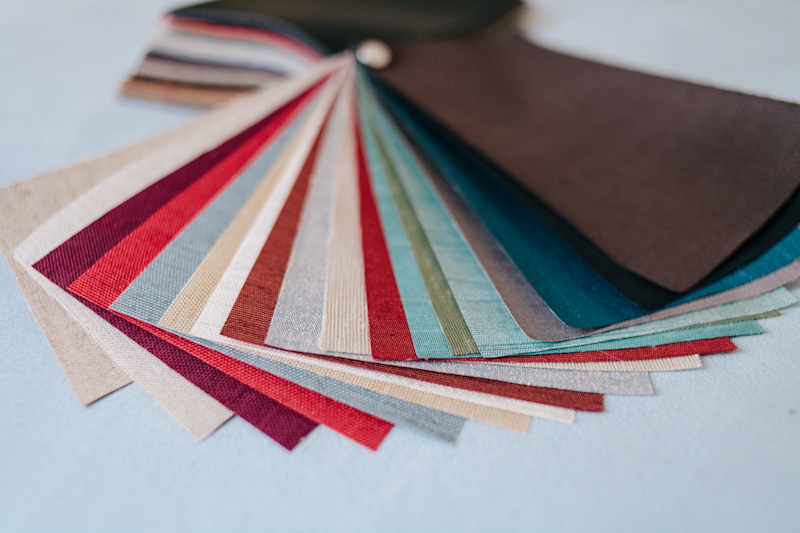 The Photo Book cover choices include several silk, linen, and fabrics as well as vegan leather and faux suede options. 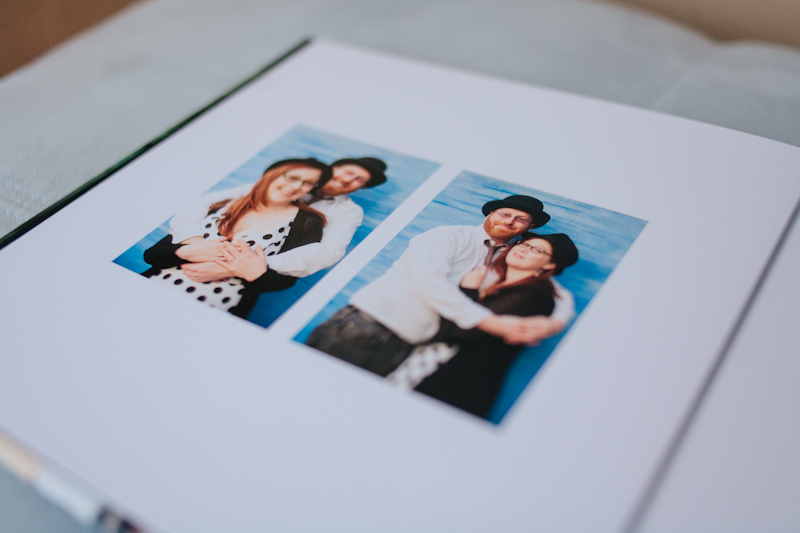 And finally, I offer a Photo Guestbook for any couples that have done an engagement session with me. 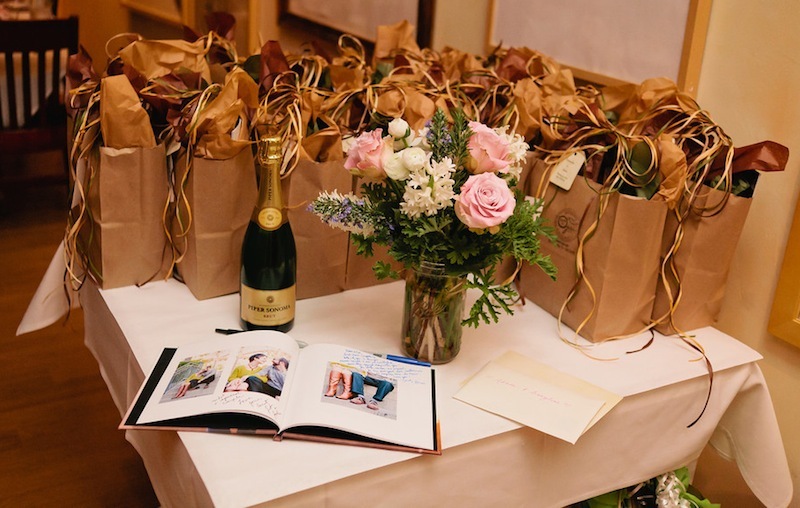 These books have matte pages and lots of white space, making it perfect to use as a sign-in book for guests at your wedding. 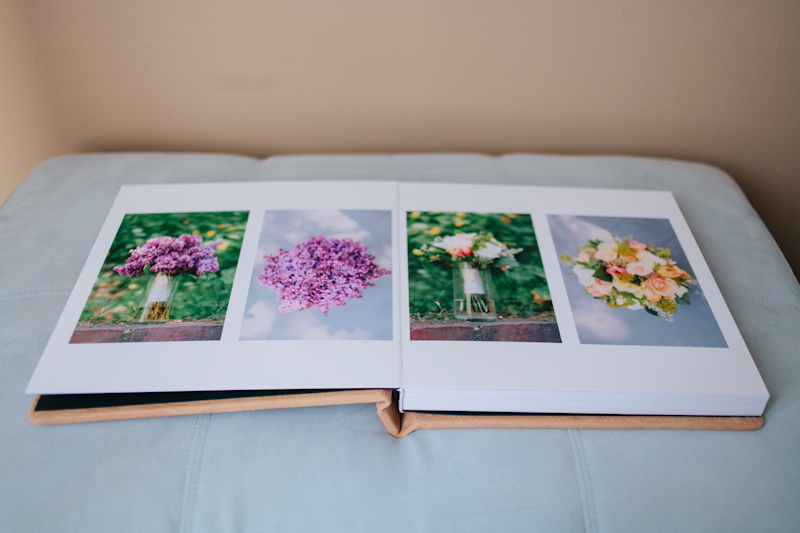 The pages are hinged to lay flat when open, and come with either a photo or fabric cover. Please contact me for prices for different album options or to set up a meeting to see some beautiful sample albums in person! 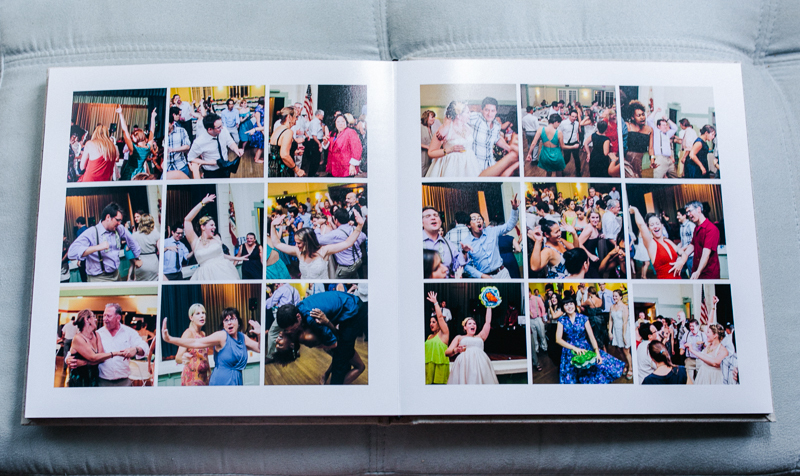 I keep stressing the importance of albums to my clients too. It would be much easier for us photographers to not bother and just give a disc of images, but albums really finish things off. Your albums look awesome Jess!